When you’re a kid (or an adult too, for that matter) there is nowhere on earth quite like the candy store. Full of bright, colorful and delicious treats, the candy shop is like a dream come true for everyone who has ever enjoyed sugary snacks. There are chocolate bars, brightly wrapped taffy candies, huge spiraling lollipops and luscious candied apples, all just waiting to be unwrapped and enjoyed. For many kids, and grownups too, the very best part of the candy store is the bulk candy wall. A whole wall full of every imaginable kind of candy from chocolates to bubble gum in what seems like an unending supply, just waiting for you to grab a bag and start filling it up. Candy shop owners can do good business at any time of the year by selling a good assortment of candies, toys and holiday treats, but quite often they will find that the bulk candy section is what draws people in. There is a wonderful kind of freedom for customers of all ages when they can pick and choose from a whole rainbow of sweet and tempting treats to create the perfect grab bag of candies for themselves. Whether it’s a wall full of clear plastic dispensers or an alluring array of overflowing candy barrels with big shiny scoops, bulk candy is an irresistible lure for anyone with a sweet tooth. The joy of the bulk section for customers is pretty obvious. Candy! Choice! What could possibly be better? 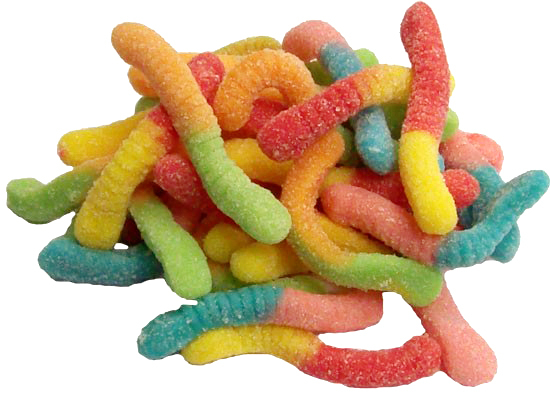 For shop owners though, bulk candy is a wonderfully flexible addition to a candy shop. Besides being attractive to customers, it provides a wonderfully flexible way to showcase different kinds of candy. If a holiday is coming up, the bulk candy section can be dolled up to include a crazy rainbow of Halloween goodies, or a cheerful assortment of Easter sweets. The bulk section can be a perfect Christmas display with very little effort… just add red, green and lots of mints! To top it all off, the bulk candy section is one of the easiest to maintain. If it is a wall full of dispensers, all the shop owner has to do to keep it looking bright and lovely is to keep the dispensers full and to tidy up any stray candy that falls out while customers are helping themselves. Bins and barrels need to be kept full and tidy as well, with any candies that have strayed into the wrong barrels returned to their homes as quickly as possible. Really, a good bulk section is the heart of any good candy store. When you get right down to it, everyone loves a trip to the candy store, whether they’re a kid taking their first trip to this wonderland of treats and sweets or a grownup reliving childhood memories; it’s a pretty safe bet to say that everyone’s favorite part of the candy store is the bulk candy section. With that much color, sugar, and freedom to create the perfect bag of snacks, it’s everyone’s dream come true!